When you finally navigate your way through ingredients-list-land and find the products that don’t actually contain milk powder (dear god, there’s a lot, aren’t there? ), you’ll become used to grabbing snacks and treats you know are vegan friendly. You might even be in a groove of eating around non-vegans since you know exactly which imitation cheeses you like and what substitutes you can eat to get your cravings satisfied just like anyone else. And it’s true…there are tons of vegan foods out there that are doing a pretty damn good job of making us feel part of the food world, even if it does cost us a few extra dollars for particular items. There’s vegan everything now from meats to cheeses to candy. It’s a good time to be vegan, not just because of the good it does, but because the options for plant-based eaters are growing faster than ever. Look out meat, dairy, and egg industry! The vegans are saving lives and taking names. The reason I wrote this article was not to be a Debbie downer and tell you that you can’t indulge on the vegan delights that exist out there. I'm only drawing your attention to the fact that just because something is vegan, doesn’t mean it’s healthy. Vegan junk food is still junk food and it’s something we need to watch out for. You know mom’s common phrase of “Everything in moderation,” right? Well, it’s true even for our vegan goodies. I know, we all exclaimed when we found out Oreos were vegan. Accident or not, we can eat them! That made me stop and think, though, what exactly is that creamy layer even made of? The more research I’ve done, the more I’ve encouraged Oreos to jump off my junk food list…and STAT. If those facts don’t convince you, maybe this one will make you stop in your snack-buying tracks. The FDA banned Nabisco, Oreo’s manufacturer, from calling the white filling “cream” because nothing about it is actually…CREAM. Woah. In order to combat that criteria, they relabeled their packages with the word “creme” on it to further deceive the public into believing the cookies were made with real cream (which still isn’t good for you, but it appears more authentic). Other vegan cookies aren’t nearly as bad as Oreos, but they do contain loads of sugar and processed ingredients. Eating them in moderation will definitely help keep the extra poundage off. Try eating things with natural sugars before reaching for the processed cookies. Strawberries, blueberries, and mandarins usually do it for me. Oh, how I love Diet Coke. I know, I know, it’s poison going into my body. But how refreshing is it!? Regular Coke just makes my teeth feel gritty and I hate that sugary film. Dr. Pepper, Fanta, and Sprite might be nice on a hot day, but they are not doing 1% of good in your goddess body. I too need to accept that. Have you ever seen the commercials that use Coke or Diet Coke to remove paint from things? If not, check out this video. When you realize what soda can do to your car’s hood, imagine what it’s doing to your insides. I know, I want to live in a blissful ignorance too, but the truth is…sodas are terrible for your body and it’s time to uncover the facts. Okay, I will…just to drive home the point.Most sodas are produced in plastic bottles and aluminum cans.The rate at which we, humans, consume these sodas is driving the amount of waste we produce right up into zones of mega destruction.Even if animal products aren’t in these drinks, the bottles they’re packaged in may end up in the ocean and destroying our precious ocean-life. This is a hard one for me to swallow (not literally) because I use olive oil or olive oil spread when I’m cooking most things. We drizzle olive oil in a pan before frying up some veggies or I’ll add garlic-infused oil to a hummus recipe for a touch of flavor. Plus, the whole dipping of bread in oil & vinegar is so damn tasty; it makes my taste buds way too happy. The truth is, though, too much olive oil can be detrimental to yours and my health. Oils in general are the most calorie dense food in the world. 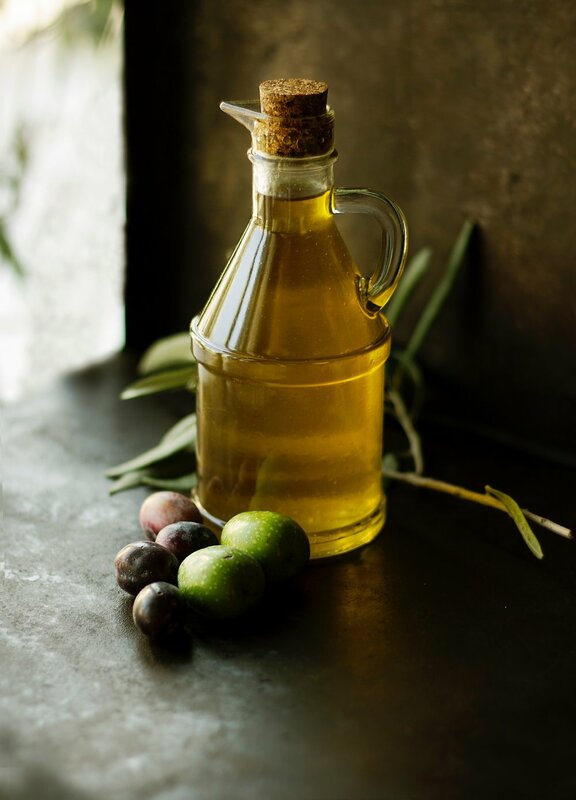 Because some Mediterranean cultures consume olive oil so regularly and are associated with being healthy, it’s misperceived that olive oil is a healthy food option. The truth is that people from Mediterranean cultures consume a lot of fruits and vegetables, which helps protect them from the impact of consuming olive oils. As mentioned in this article, olive oil put onto an already bad diet (like the classic American diet) means you won’t be protected and the negative effects compound. Moral of the story, eat lots of fruits and vegetables and go easy on the oils. If you’re going to buy oil, try to buy locally to decrease your carbon footprint and cook your veggies in a tiny bit of water instead of oil. Hallelujah for vegan meats, chick’n nuggets, and imitation sausages! Am I right? Being a new vegan is already hard when everyone around you thinks you’ve made a crazy choice to cut out animal products. So when you find the vegan section of your grocery store, you’re like “HELL YES, I CAN EAT THIS!” Then you stock up on bean burgers, tofu sausages, and whatever vegan bacon is made of and get on with living your new-found lifestyle. Here comes Kelsey with the bad news…womp womp. Vegan meats and frozen foods that imitate the “real” thing are kinda, sorta jam packed with processed ingredients. I know, I know, you just started fitting in at summer barbecues and can finally have brunch that looks like everyone else’s. But the truth is I would be complicit if I didn’t tell you the truth about these imitation products. And please remember, I’m here to support you during this whole vegan experience. I’m totally with you in this struggle; I experience this stuff, too. I won’t deny that I still buy vegan sausages and frozen chick’n nuggets. They’re damn delicious and no one can stop me! Until doing the research, though, I was buying these items on a regular basis. I cut down dramatically when I learned that these foods have tons of unnatural additives and they provide far fewer vitamins & minerals than whole, plant-based foods. Buying vegan meats and frozen foods is already saving thousands of animals’ lives and is inherently the healthier option. That means you’re already doing a world of good buy choosing animal-product-free foods.Stick with that moderation motto and you’ll be a-okay. Just like vegan meats, vegan cheeses also have artificial flavorings and are packed with unnatural ingredients. Vegan cheeses tend to be high in calories and fat, which doesn’t necessarily qualify them as healthy. Any cheeses made without animal by-products are infinitely better than their cow-milk counter parts. One crucial thing to do when buying vegan cheese is to read the ingredients list. Some vegan cheeses are made from fermented palm oil, and if you don’t already know (and as I alluded to before), palm oil is complicit with the death of many wild animals as it takes away acres of land from the local inhabitants to grow. If you’re calling me a monster by now for adding this to the list, believe me, I’ve already said to myself. They FINALLY came up with a dairy free ice-cream and now I’m telling you not to eat it. Psych! I’m definitely not telling you not to eat it. I’m just telling you what’s unhealthy about it and you can go about your business (see you at movie night, Dairy-Free Ben & Jerry’s). The more we know, the more educated and intentionally we can make our decisions. And if you totally ignore what I’m saying, I don’t blame you at all. Just gotta cover my bases here. This is a vegan blog after all. You’re tasty; you’re delicious; you don’t give me a stomachache. You’re a gift from the heavens above. You also are jam packed with sugar and that makes me both happy and sad. It makes me happy because I get to eat ice-cream just like everyone else, but I don’t suffer the horrible after shocks of what Chocolate Chip Cookie Dough used to do to me. It makes me sad because I know you’re adding to that extra layer of fat I’ve been pretending I don't see in the mirror, but somehow I always see in photos. You, vegan ice cream, are a gift and a curse. With that kind of weight on your shoulders, I promise to eat you in moderation (I’m getting repetitive, aren’t I?) so I don’t have to live without you, but I can maintain this goddess-like figure (I have a really good imagination). If your relationship with potato chips is as weird as mine, maybe you can relate to this. My mom never kept chips at our house growing up. It was a special treat for birthday parties or when I was over at the neighbor’s house and could dive head first into a big bag of Lays. I always knew they weren’t healthy for me, but I wondered what about those chips was that bad. When I found myself in “adulthood,” I realized I could buy whatever I wanted whenever I wanted it. As long as I had the money, I could have it and eat it any time of day. What a weird freedom to get used to. It’s been great, don’t get me wrong, but I now have the liberty to decide what level of health I want to have. No one else is deciding for me like my mom did all those years. Chips, chips, the wonderful snack. Why do you make my poundage pack? You taste so nice, but rot my body. 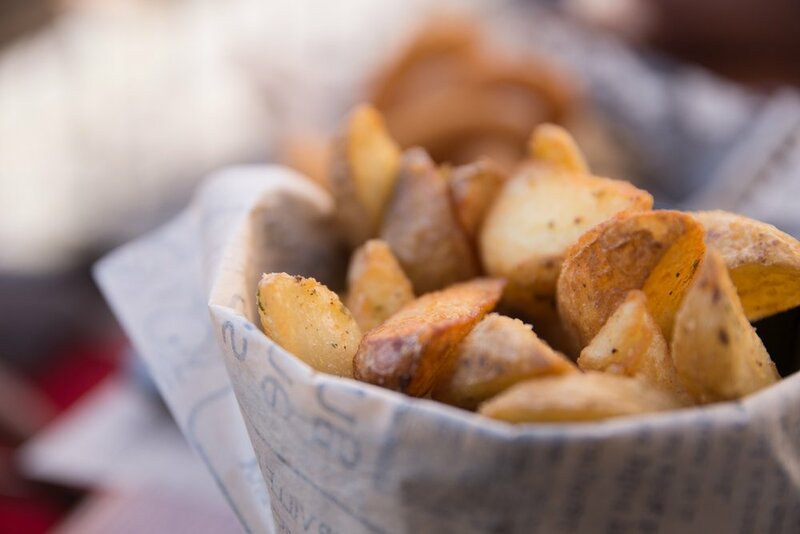 To get over this terrible information that fried potatoes are awful for us (I mean, were we really surprised? ), I’ve found a few replacements you can try that are far less harmful to your health. 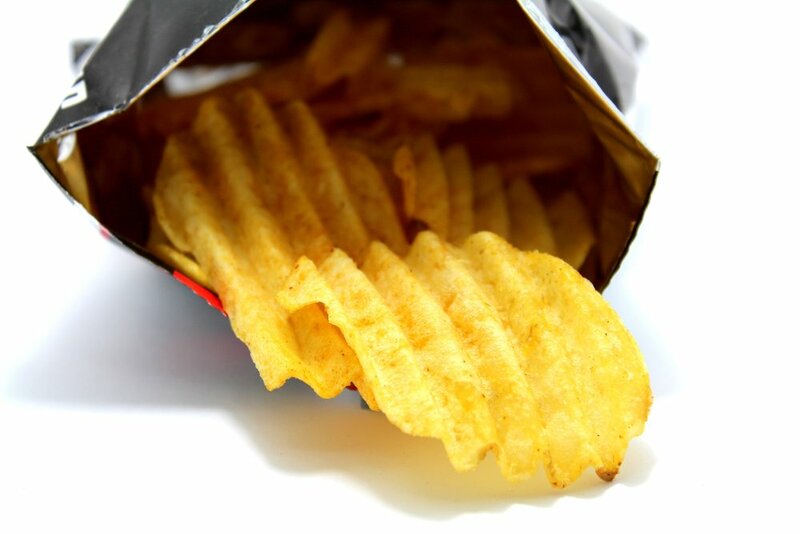 Cutting down on potato chips and utilizing healthier replacements will make a bigger difference in your internal system than you may realize. Be kind to your body by putting fewer toxins in it. Find satisfying snacks that you will enjoy and will leave you feeling lighter. To piggyback off the last one (not that I’d ever physically do that to a pig), fried foods…as expected…are pretty terrible for us humanoids. Our ancestors of the hunting and gathering time certainly were not using big vats of oil to make their food taste nice. Our food has evolved dramatically since then and not all in the best direction. If you’re alive, you know fried foods are unhealthy. I don’t need to cover that. The reason I bring it up, though, is because we often tell ourselves that fries, wedges, and fried pickles never killed anyone or anything, so they’re a-okay to devour. I’m not saying don’t eat delicious food, I’m just saying, maybe consider air frying them or replacing them with baking instead of frying. Look, homies, if you’re vegan, you’re well on your way to being healthier than the average person. That doesn’t mean, though, that we’re free to eat too much of the junky stuff. Yes, vegan junk food is better than animal-product junk food, but it’s still junk food. Trade in some of those snacks for fresh fruits and veggies or even a handful of nuts. There are tons of alternatives to the alternatives, so just be conscientious and intentional when you get the munchies (as best as you can). I’d be amiss to not mention moderation at the end of this, but I think I’ve driven that concept all the way home…so you get it. Let’s be healthier vegans as often as we can. Our bodies, minds, souls, animals, and planet will thank us. Any healthy options missing in this article? What vegan junk food is hardest for you to cut down on? Tell me in the comments below! Why Would Someone Go Raw Vegan?